» it does not include data transfer – you input your card details in the 3D secure platform. In case you need to make a subsequent payment, for example for a date change of your ticket, additional days to your hotel stay, or if you would like to pay online for any of the following services that we offer: hotel accommodation in Bulgaria, holidays, cruises, travel insurance, gift vouchers, ISIC cards, etc. 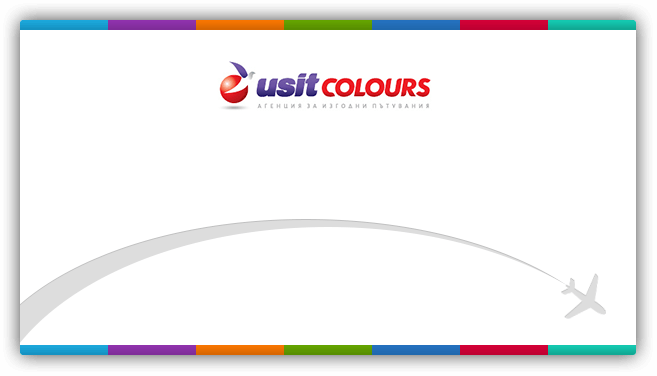 you need to ask your USIT Colours consultant to prepare a special link where you could pay online in the 3D Secure Online Payment Platform of DSK Bank. The bank order should be payable to USIT COLOURS Bulgaria, and should contain the reservation number (confirmation code), names of at least one of the clients/receivers of the service and a description of the service you would like to pay for. When paying a sum for bookings with shorter validity or for promotional services, it is mandatory that you send us via email or fax the bank transfer receipt. We advice you to choose another payment form if the start date of your holiday/flight is within 3 days, in order to avoid delays and reservation failures. In our offices we accept cash or card payments through a POS terminal. You could choose to pay for the services you have booked online or get a professional advice and buy a desired service in any of our offices.